Dampokhtack is a popular Persian rice dish and classified as comfort food for most Persians, think of it as the mac & cheese of Iran. 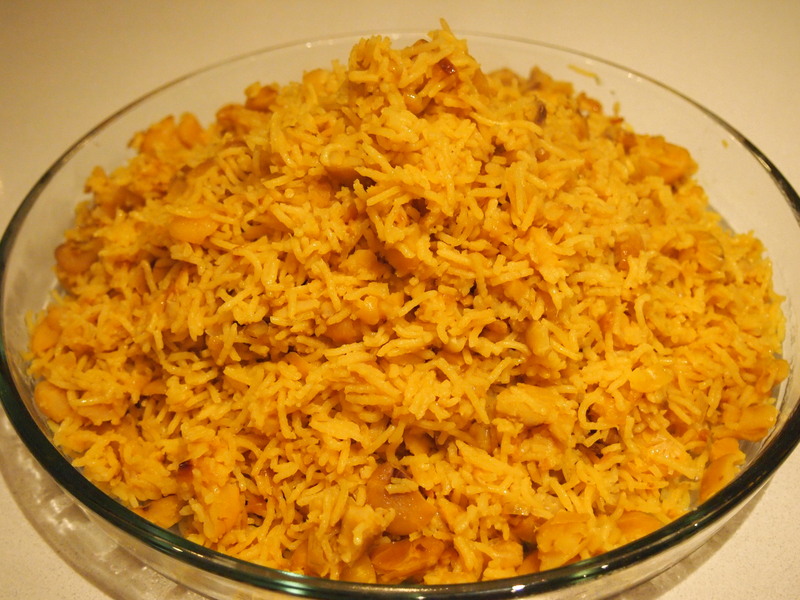 Unlike most Persian rice dishes which are prized for their long and separate grains of rice, Dampokhtack is meant to be a little on the gluggy side – normally an anathema to any Persian cook. This dish is cooked by the absorption method whereas most rice dishes, polow’s, are cooked by being first par boiled and then steamed. It’s characterised by it’s strong yellow colour obtained from turmeric and is often served with a garnish of caramelised onions. The trick to getting this dish right is to make sure that the dried broad beans are not too mushy and overcooked before you add them to the rice. The other important factor is the ratio of water to rice. 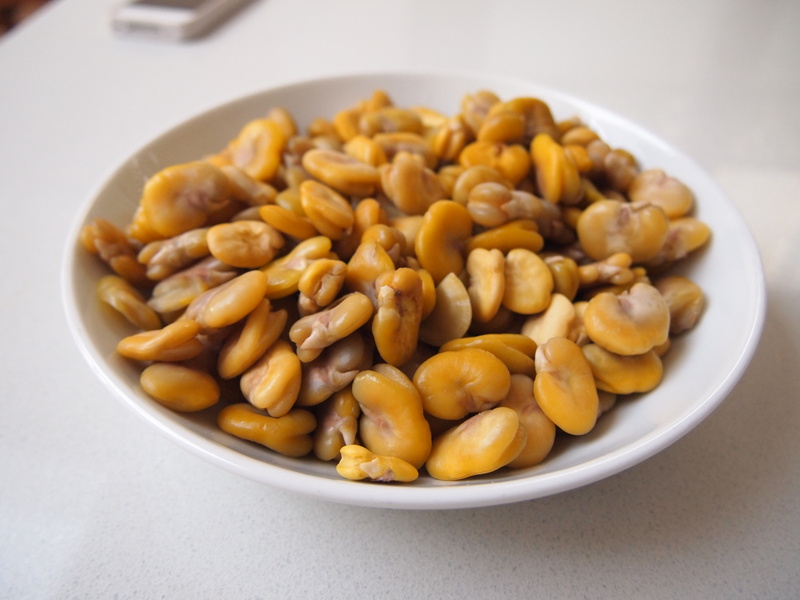 I was unable to get hold of any dried and peeled broad beans which are normally sold in Middle Eastern grocery stores and are light yellow in colour. So I purchased dried unpeeled broad beans which meant they needed to be skinned. The method I’ll write below is for unpeeled dried broad beans but if you are able to purchase the already peeled variety then simply cut down the cooking time of the beans to just 20 minutes. You will need to cheek them at this point to make sure that they are just cooked through but still have a little bit of bite. The timing will vary depending on the freshness of the dried beans. 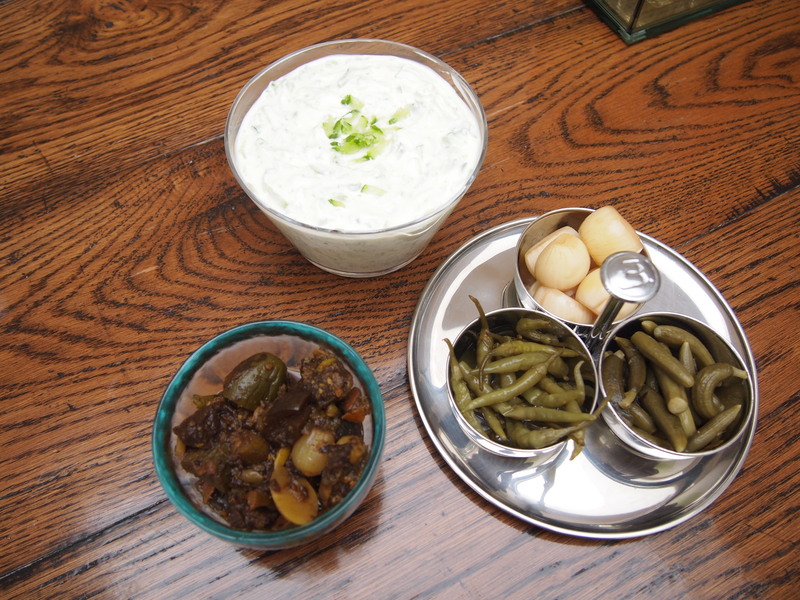 This meal is usually served with yogurt, fresh herbs and Persian pickles. The rice is also often toped with a fried sunny side up egg. Wash the rice in a large bowl in several changes of water until the water runs clear. Add enough cold water to the rice in the bowl to cover by an inch and leave to soak for 2-3 hours. 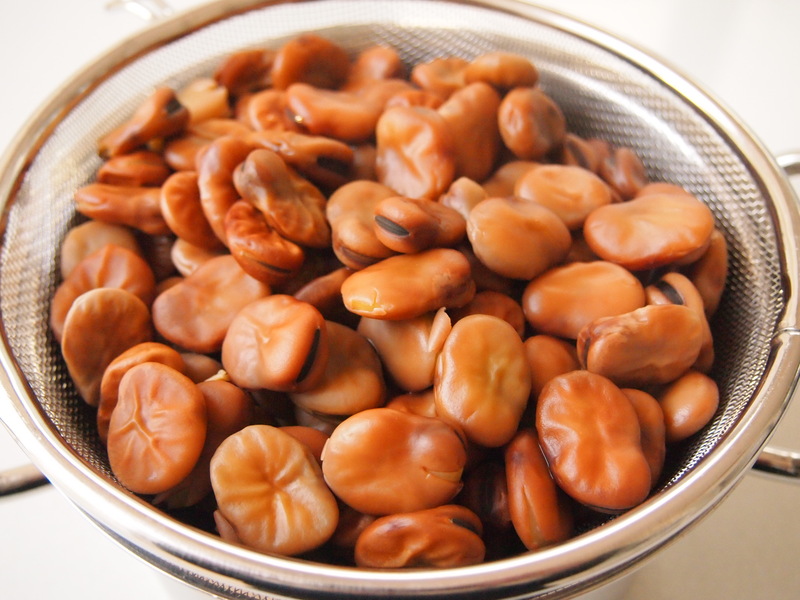 Put the dried beans into a large saucepan and cover well with water, bring to boil and boil for about 5 minutes. Test a bean to see if you can take the skin off relatively easily. It won’t just slip off but it should be able to be peeled without too much effort. If they are at this stage drain them and let then sit until they are cool enough to handle. Peel the beans and put them back into the saucepan with fresh water to cover by at least an inch or more and bring back to the boil. Lower the heat, cover and simmer for 20 minutes or until the beans are just cooked through but still have a little bit of bite. It’s better for them to be slightly under done than over done. 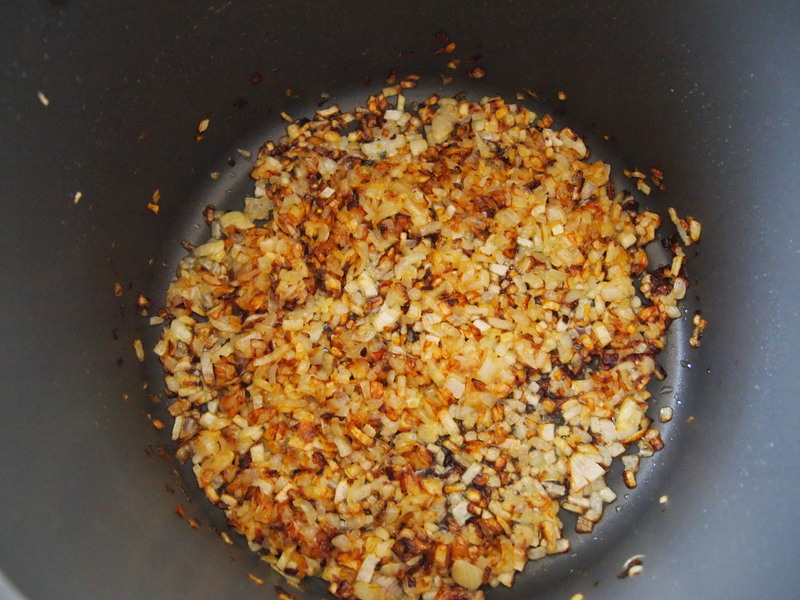 Heat a generous amount of oil in a large non stick saucepan and add onions. Fry over medium heat until the onions are golden. Add the turmeric and fry for another couple of minutes. Drain the soaked rice and add to the onions along with the carefully drained beans. Be gentle with the beans so as they don’t break apart. Add 2 generous teaspoons of salt and add enough cold water to cover the rice and beans by 1 inch. Gently stir and bring to the boil. Keep boiling the rice mixture uncovered on a medium heat until almost all the water has evaporated. 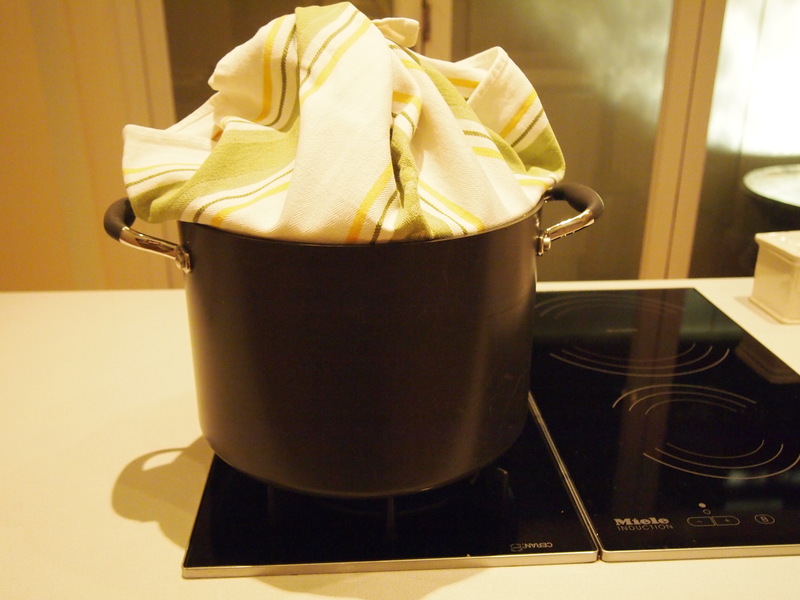 At that stage wrap the lid of your pot with a clean tea towel to prevent any steam escaping and cook the rice on a very low heat for 45 minutes. Remove the lid and with a large spatula carefully and gently place the rice on a platter trying not to crush the very tender rice and beans in the process. Top with caramelised onions and serve with fried eggs, yogurt, fresh herbs and pickles.